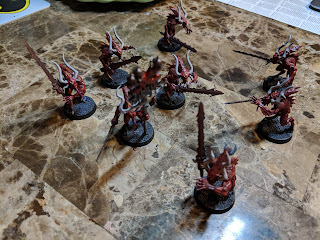 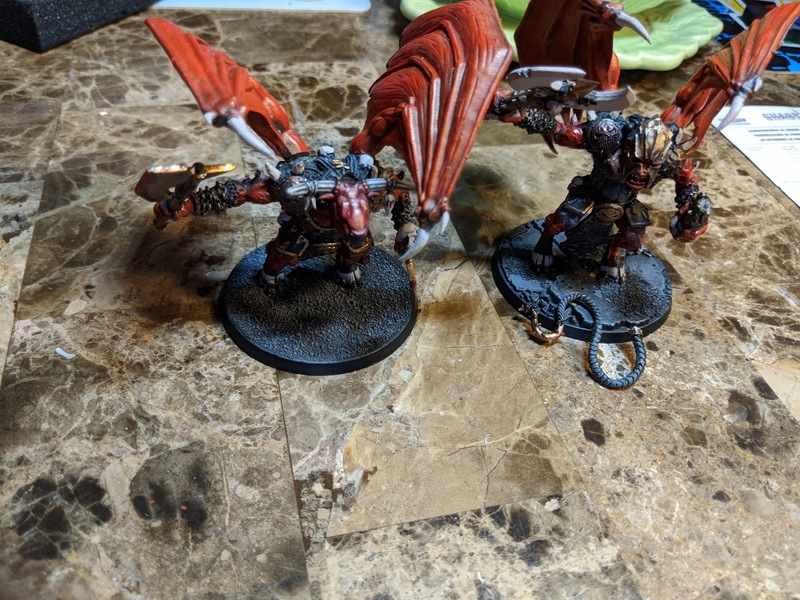 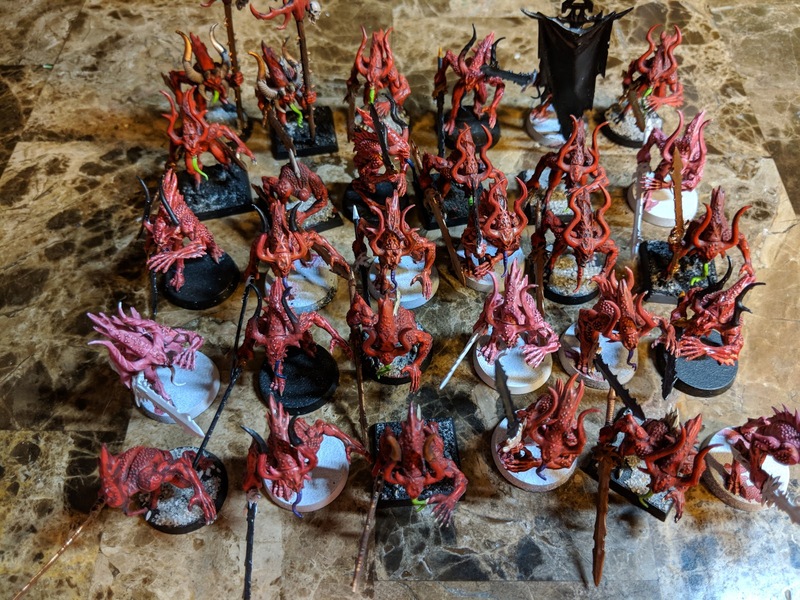 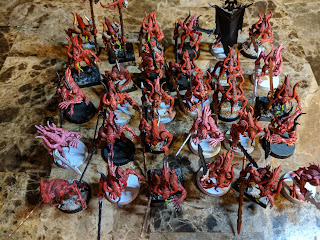 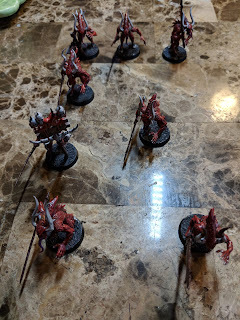 This is my chaos daemons of khorne army. 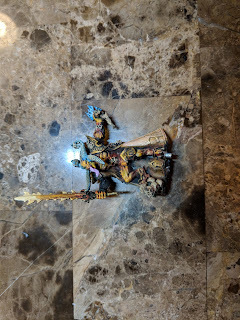 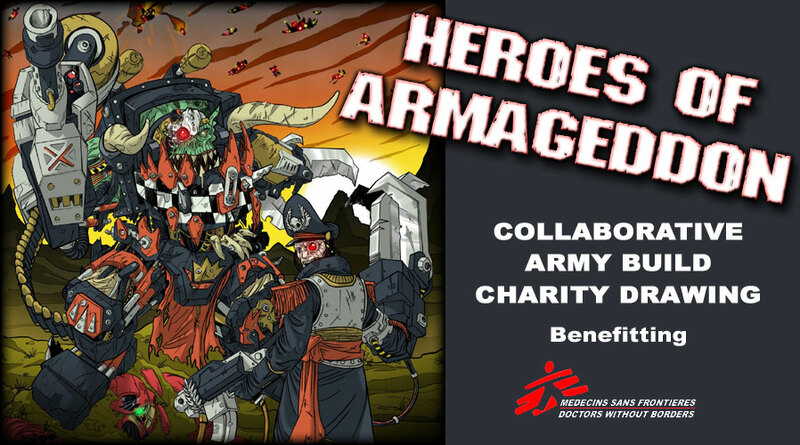 It was assembled mostly in 4th and 5th edition, but has models from probably all eras of GW. 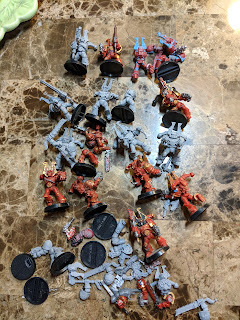 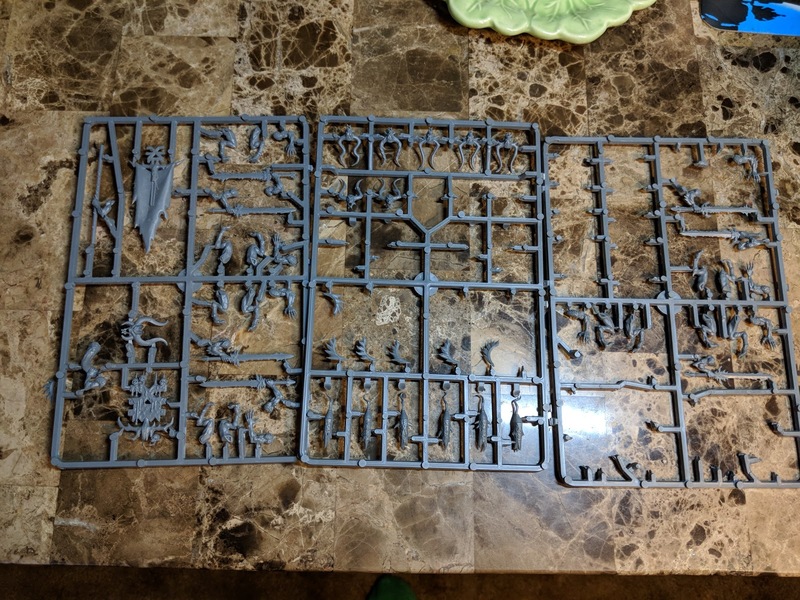 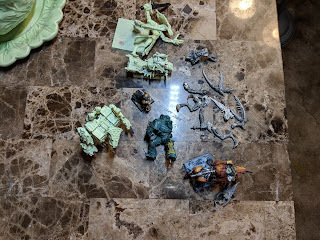 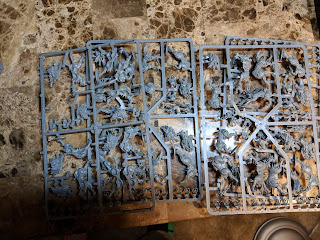 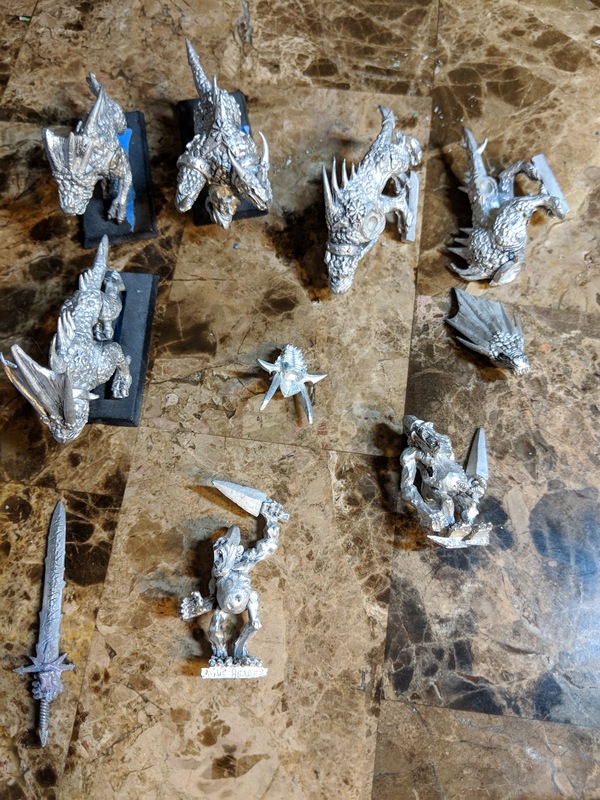 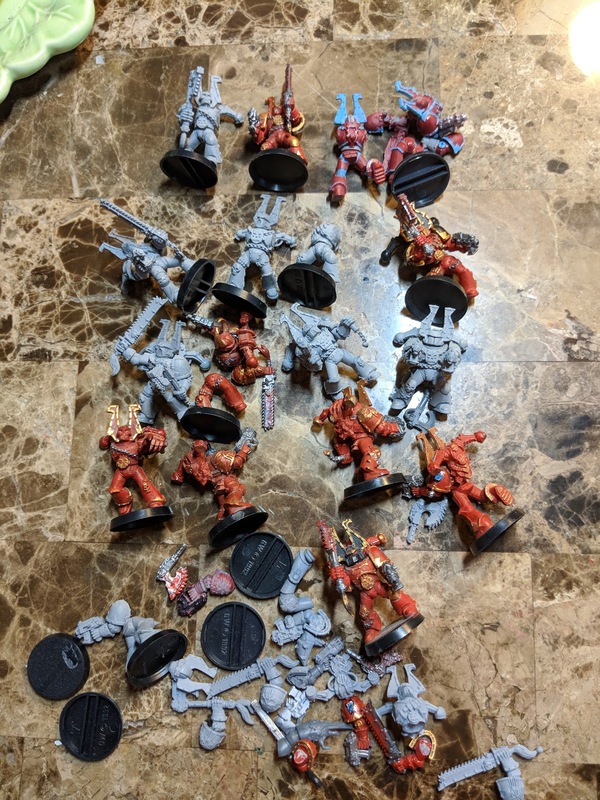 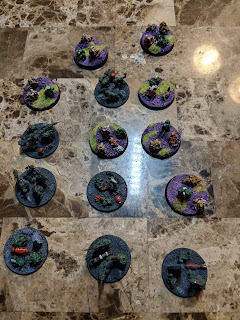 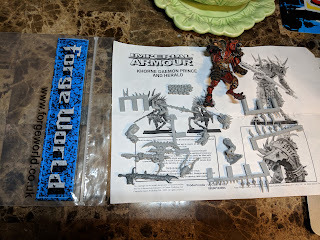 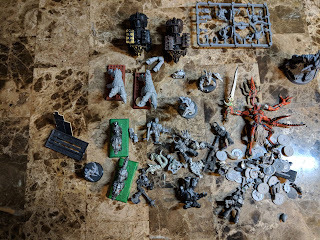 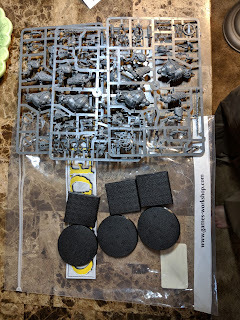 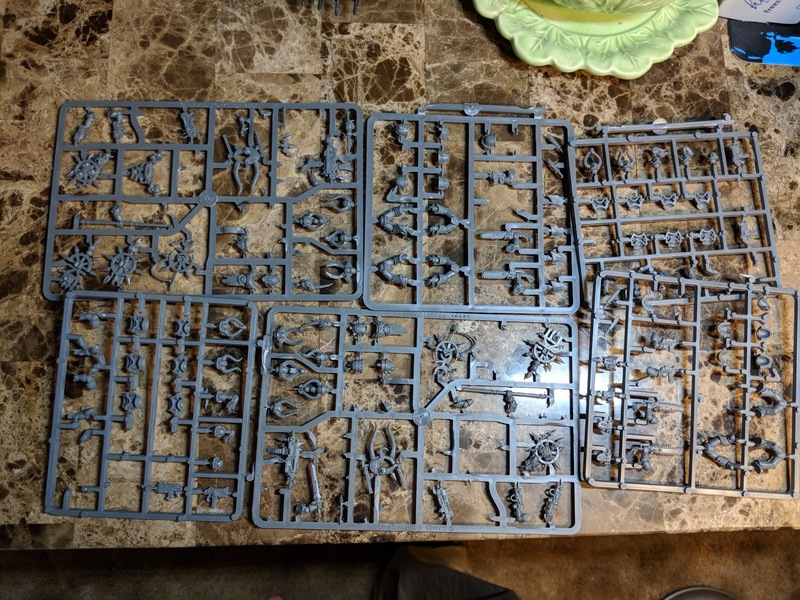 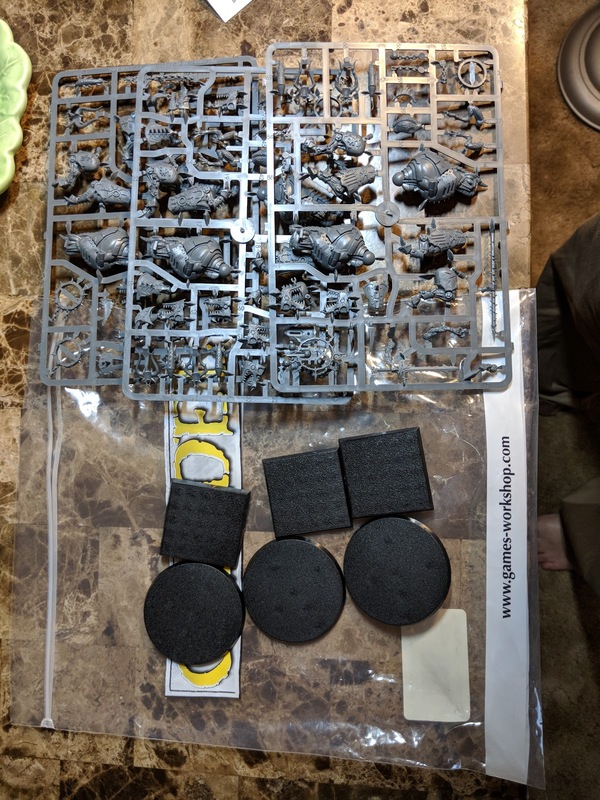 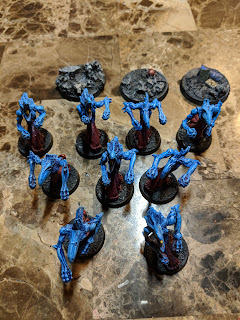 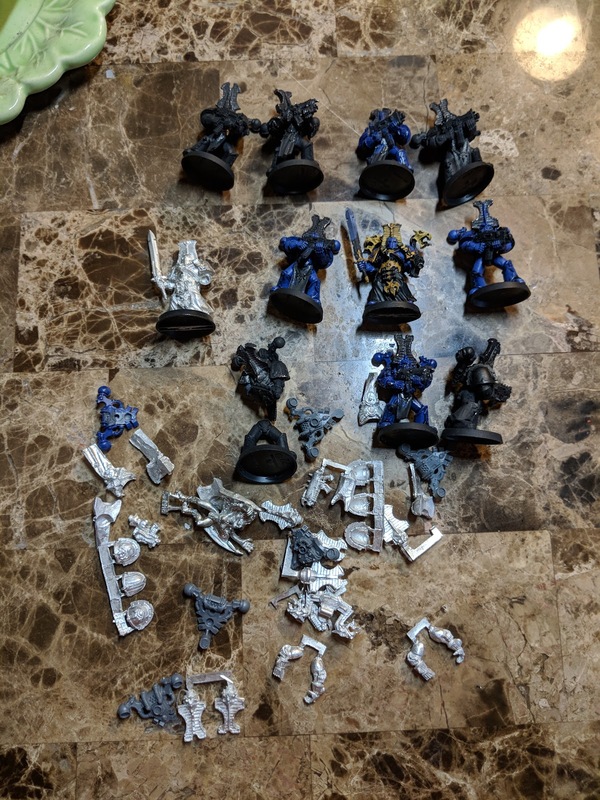 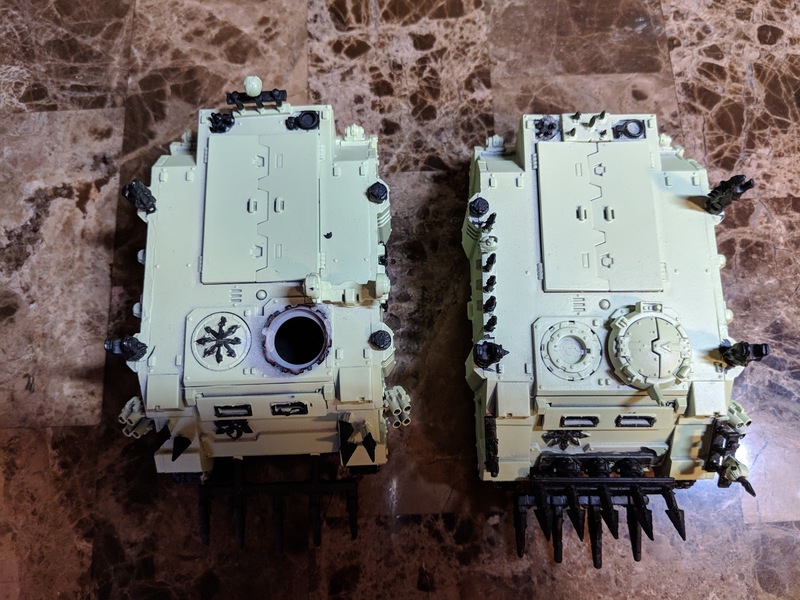 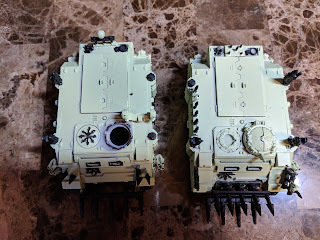 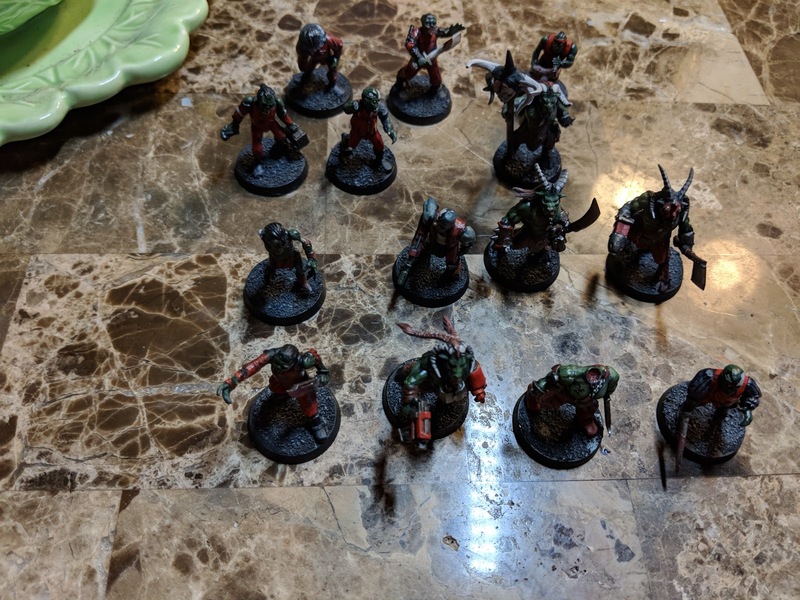 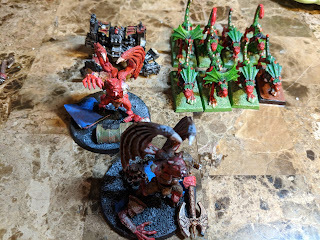 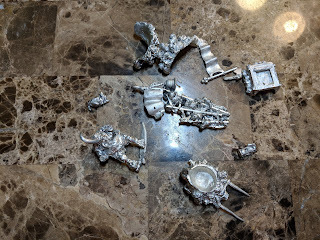 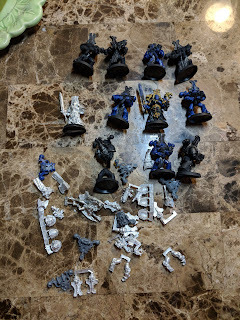 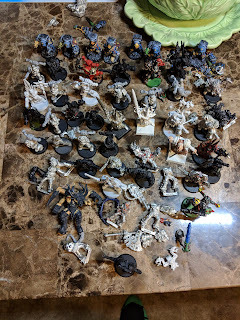 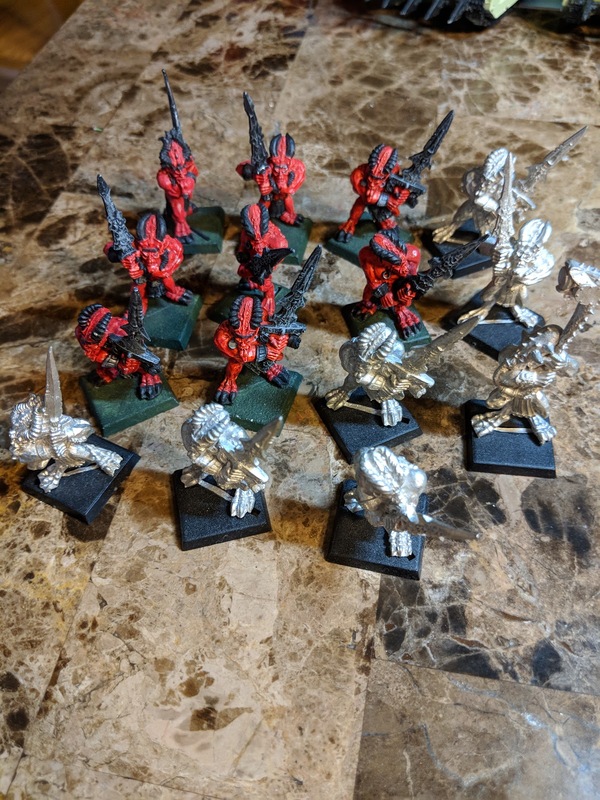 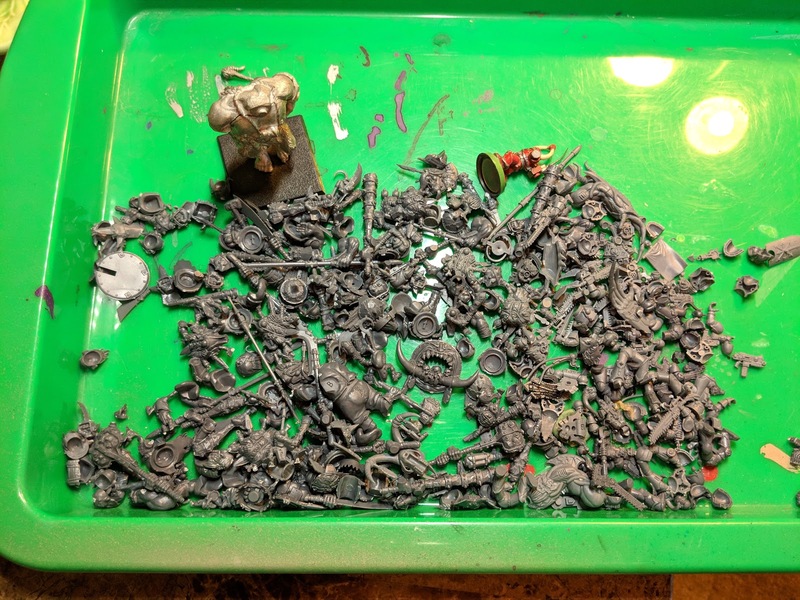 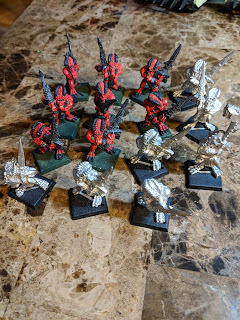 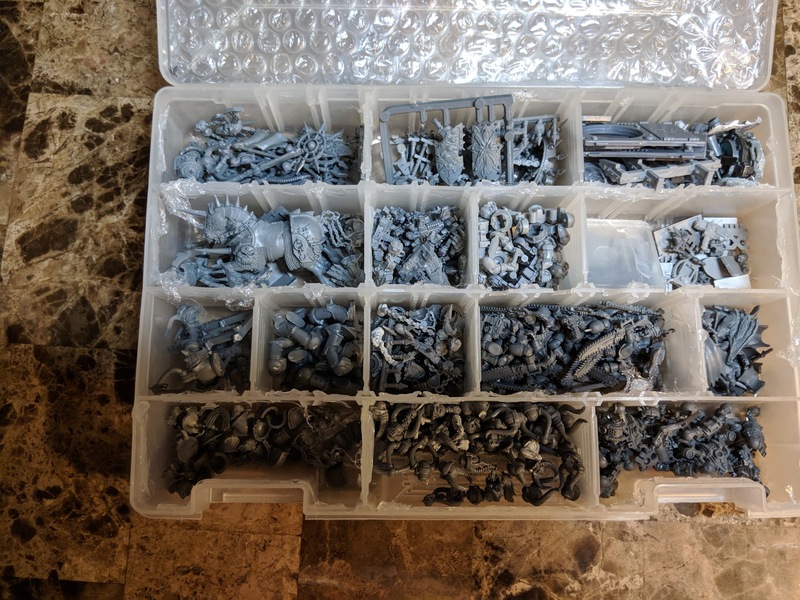 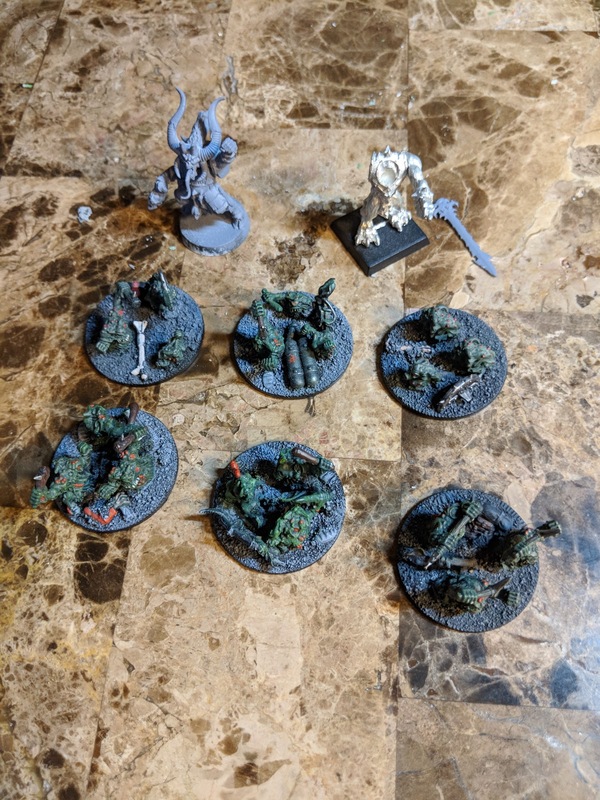 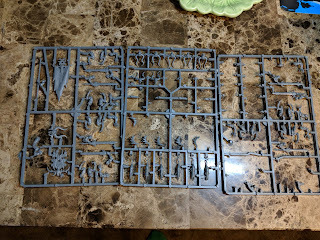 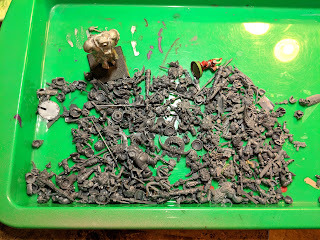 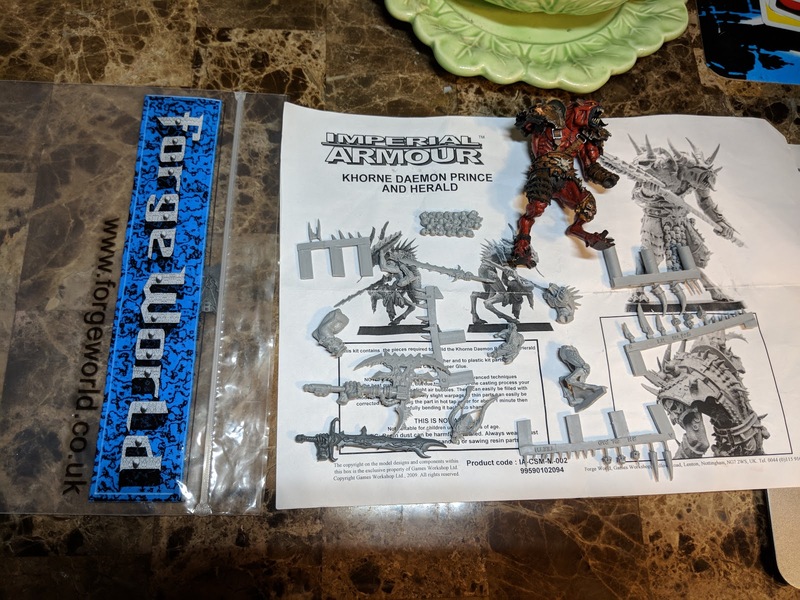 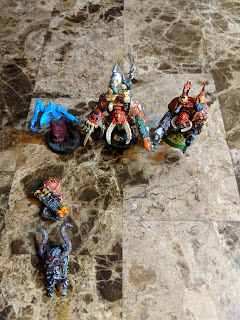 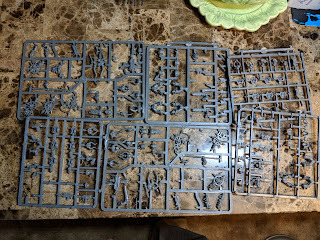 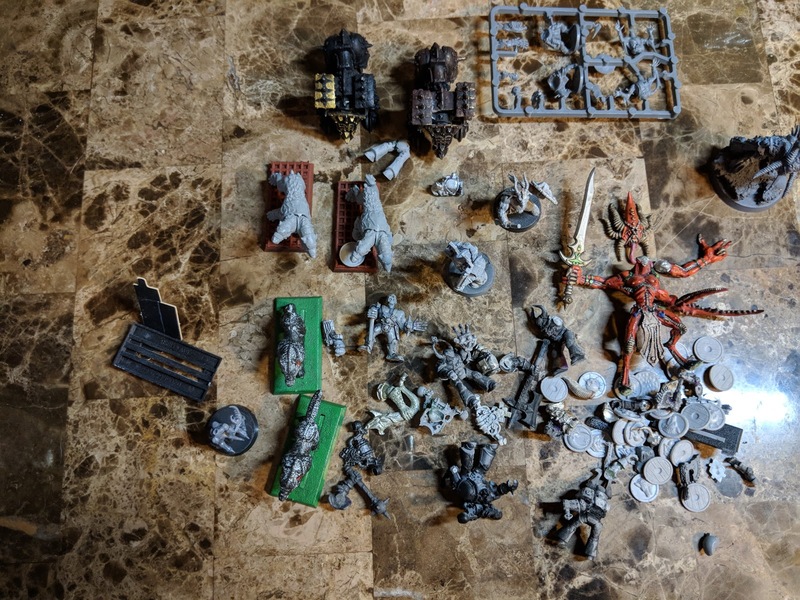 I have many more marines on sprue and rather large bitz box which is not pictured, but can inventory if someone is interested in marines over daemons..or both. 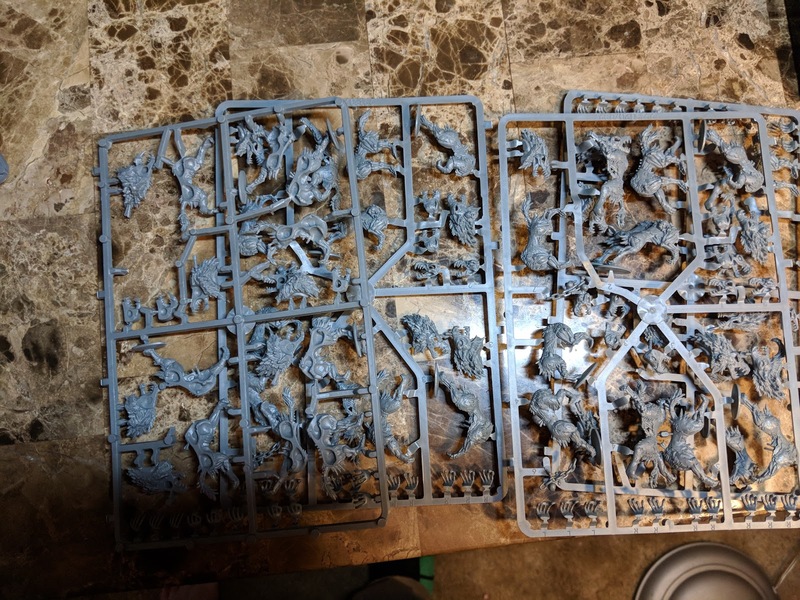 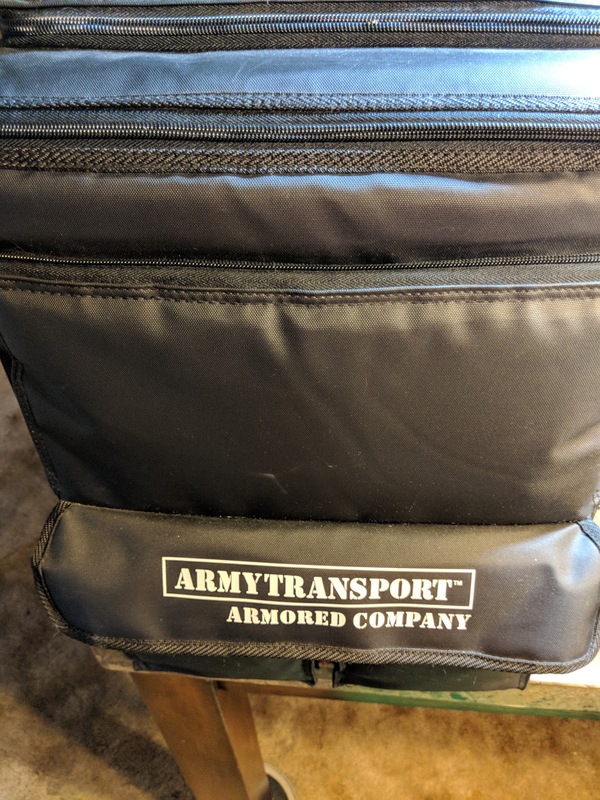 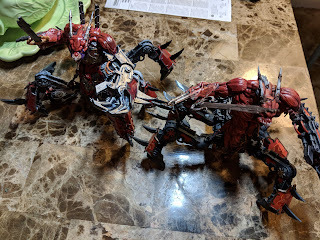 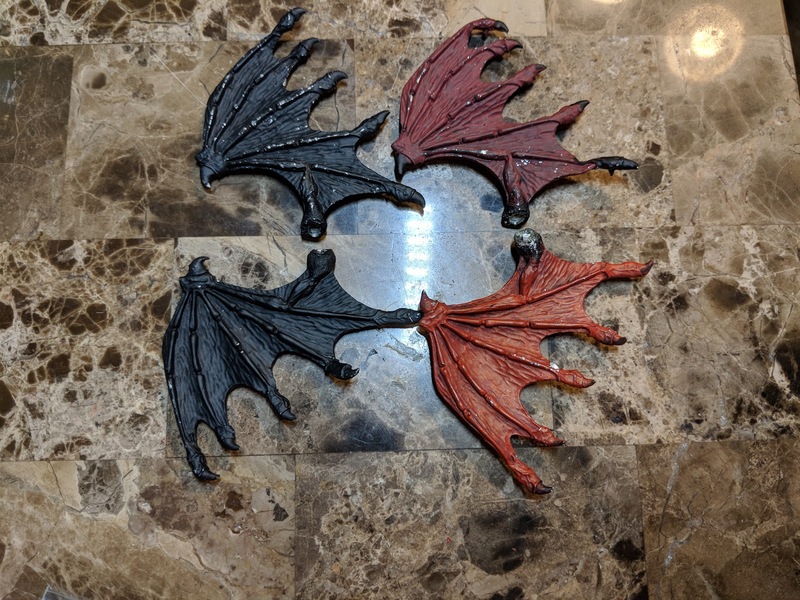 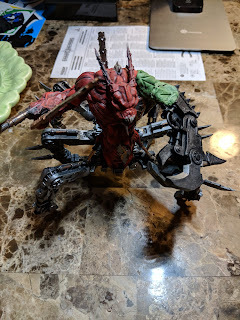 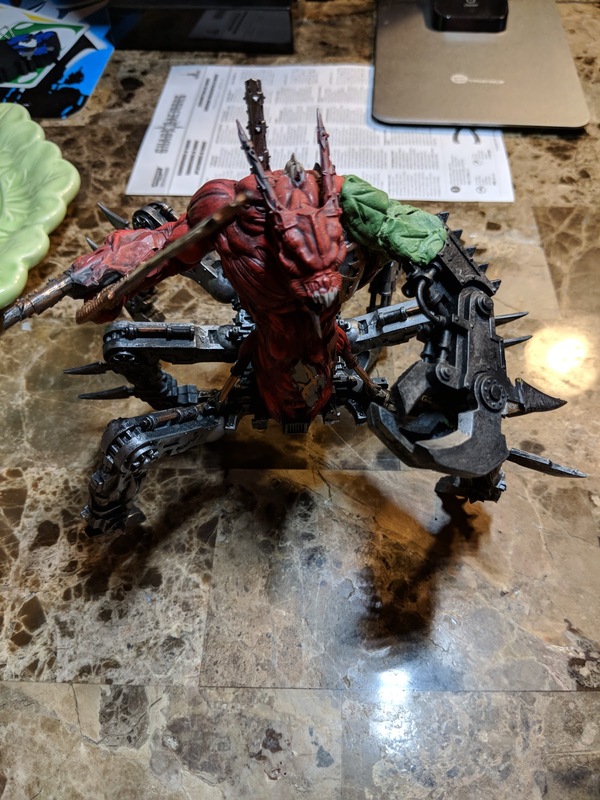 Army Transport for majority of khorne daemon army, may or may not fit 3rd soulgrinder. 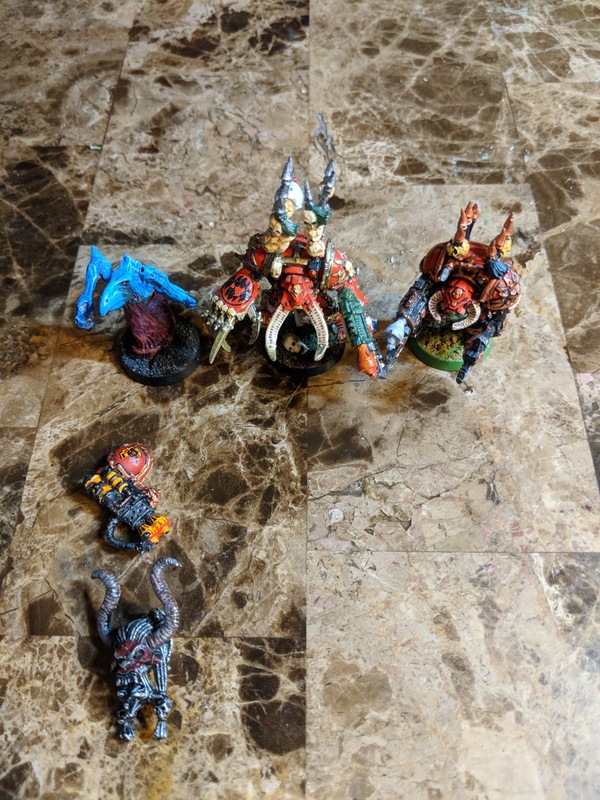 khorne zombies...I'm not sure that was a thing. 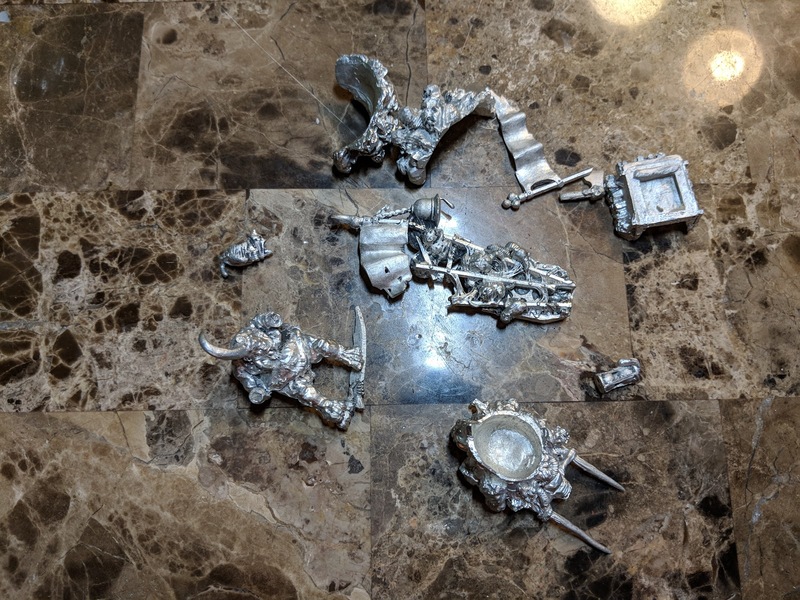 various models from the work table. 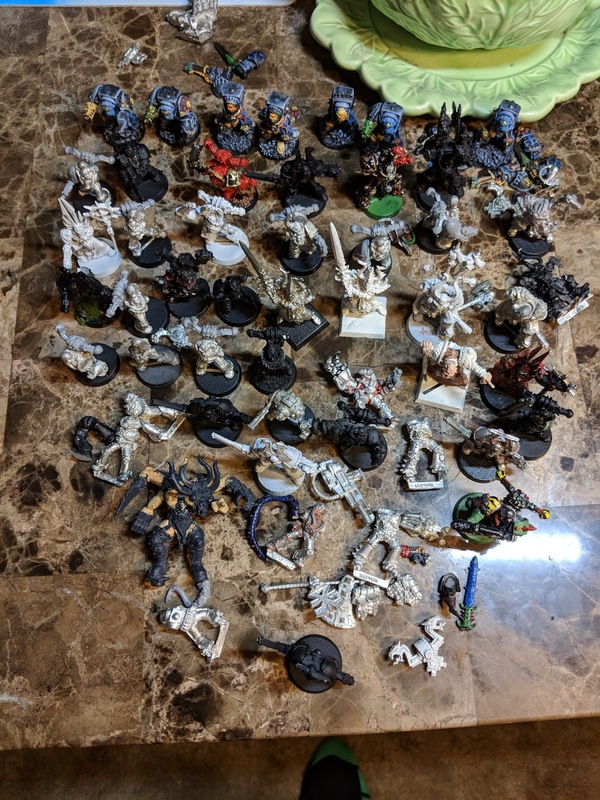 Here is the list with current GW prices and total model numbers.